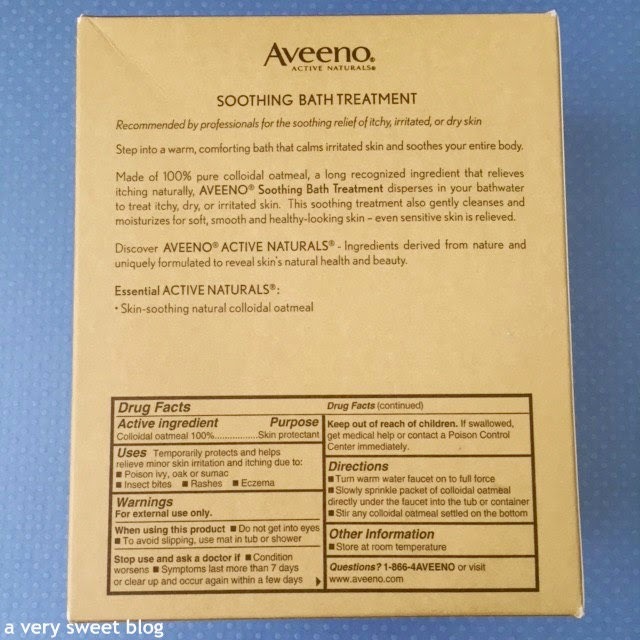 The first time I soaked in an Aveeno Soothing Bath Treatment, was after a Spring Break trip to Miami Beach and Coconut Grove, Florida. I didn't bring a hat. I barely wore any sunscreen. I DID have cool sunglasses! This tells you what was important to me at the time! HaHaHa I went out on the beach and the SUN tore my skin up! I didn't think I needed all of that, because it was March! It doesn't get that hot in March! I was WRONG and I paid for it. Well, I've learned a lot since my graduate school days (wayyy back when) and soaking in an Aveeno bath really helped my skin heal. Each of these packets contain 100% finely milled pure Active Naturals colloidal oatmeal to create a soothing milky bath. I'm giving away a box to a lucky reader! This giveaway is open worldwide! With Summer coming up, there will be mosquitos, sunburn, and poision ivy mishaps. Keep this box handy! Even if you don't experience any of those things (which I hope you don't), this is great for dry and sensitive skin. Click on the pictures below, to make larger. Have a soothing Sunday! 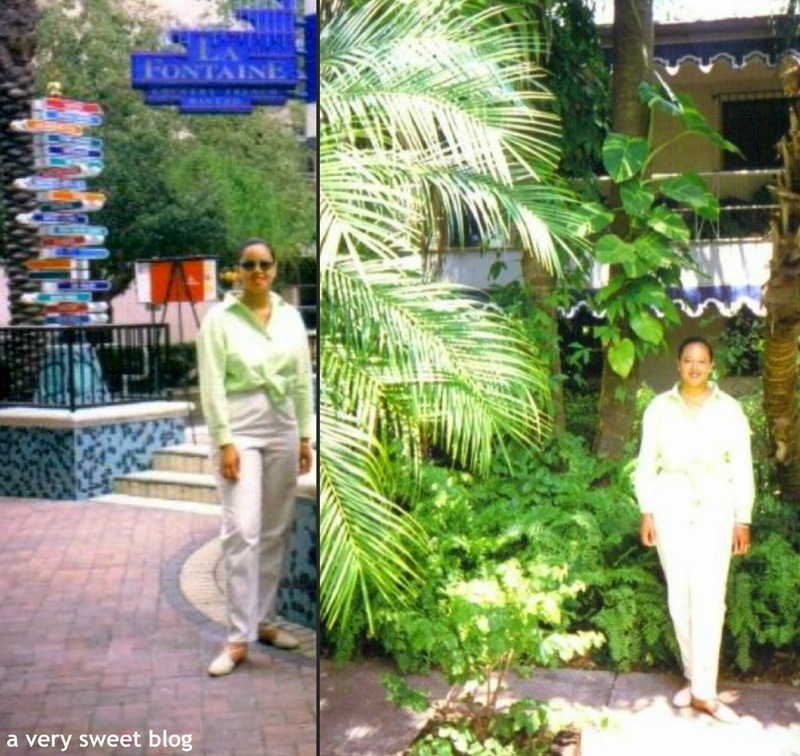 me in miami beach & coconut grove, florida. i was finishing up graduate school. Ooh this sounds just lovely! I'll have to see if they have this product in Australia! 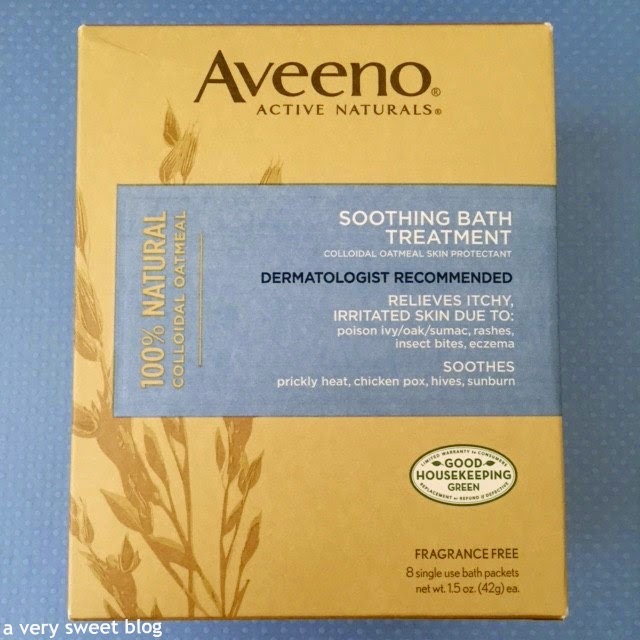 Aveeno is a great product and your review makes is sounds more interesting to try. I think that everyone has a really bad sunburn experience when they are younger - definitely makes you a lot more respectful of the sun! So cool to see some of your Spring Break shots Kim! You could still pass for a grad student :) The last time I tried an Aveeno Bath Treatment was when I broke out in hives. It is some good soothing stuff. I love the Aveeno bath treatments. I've used it a couple of times when I get really bad hives, so soothing. Love the throwback pics, Kim:) And I agree with Val....more pics, please! Oh Kim, you look so super young and cute in those photos. What were you thinking not slapping on any sunscreen at the beach? Ok I probably also did that when I was still in school and stupid about beauty and skin. The bath treatment sure sounds luxurious. Aveeno stuff are always great! I forgot to add on. I love your new blog layout. Black and white monochrome tone is always classy and pleasing to the eye. I would miss the pastel multi colours from the past but I do like the elegant feel of this new layout. Awww! You're throwback photos are so cute! Oh, I would love to win this! Nothing like soaking in a nice hot bath :) Hope that you're enjoying the last little bit of your weekend, love! Wow, Kim, love the last 2 photos! You look so cool! Thanks for this nice giveawaY! Lol @ the Will Smith's song! Great giveaway, dear! I'm totally thinking about the Will Smith song now! Aveeno is awesome and so many of their baby products work well for my little one so i'm a believer. Good luck to everyone in the giveaway! Your new business cards are so sweet with the sprinkles! I love the old Miami photos. That song definitely brings back memories! The Aveeno product sounds great. Luckily I avoid the sun since I'm super pale and had my share of serious burns when I was little. Of course that was before parents lathered children up with sunscreen! Ouch, this reminds me of the time I fell asleep in a beach in Puerto Rico. It was too painful to remember. Great giveaway, I love natural products like this one! what lovely pics..so fun to see how you looked in the year 'welcome to Miami' was realized..btw I really love that song! haha, i could have used this back then, too, when we would use baby oil and bake in the sun! This sounds so nice a soothing! I have a hand cream with oatmeal as the active ingredient, and it is the best hand cream I have used in a long time! Oooh I like this song of Will Smith in the 90's you're up high I've just noticed that! Nice review Kim.